Heading on a cruise this year? Check out the art auctions! Here is an inside look into what to expect at a Park West Gallery art auction. This post was sponsored by Park West Gallery. All opinions, observations, pictures, and words are my own. Over the years blogging has provided me with some incredibly unique opportunities, but this one tops the charts as one of the most fascinating! 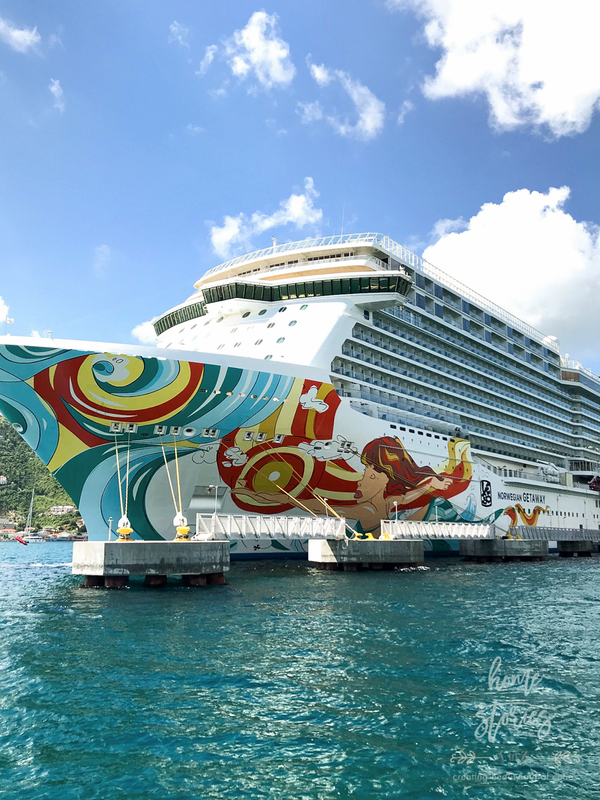 I was recently invited to join Park West Gallery aboard the Norwegian Getaway to experience their cruise art auctions. 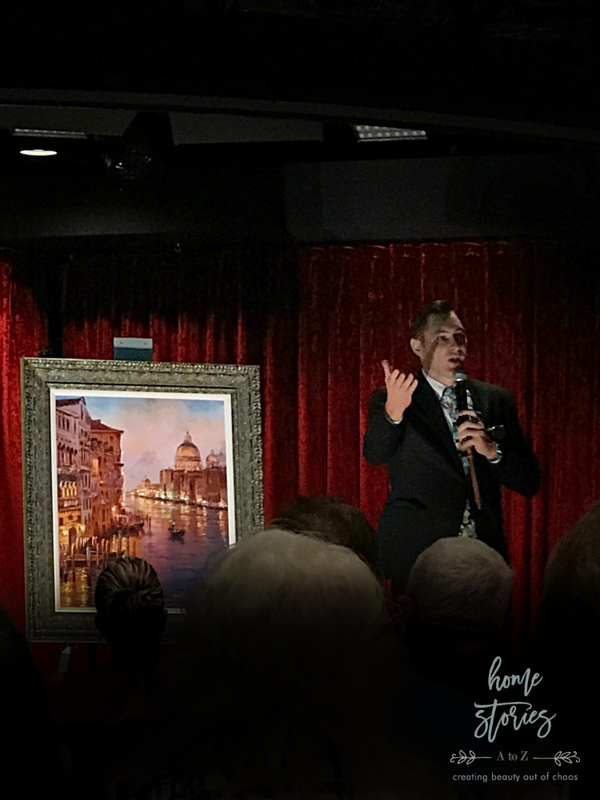 During my seven day cruise, I attended several auctions, sat in on VIP art lectures, interviewed some Park West art collectors, and spoke with Park West staff. Today, I’m dishing on all that I learned! 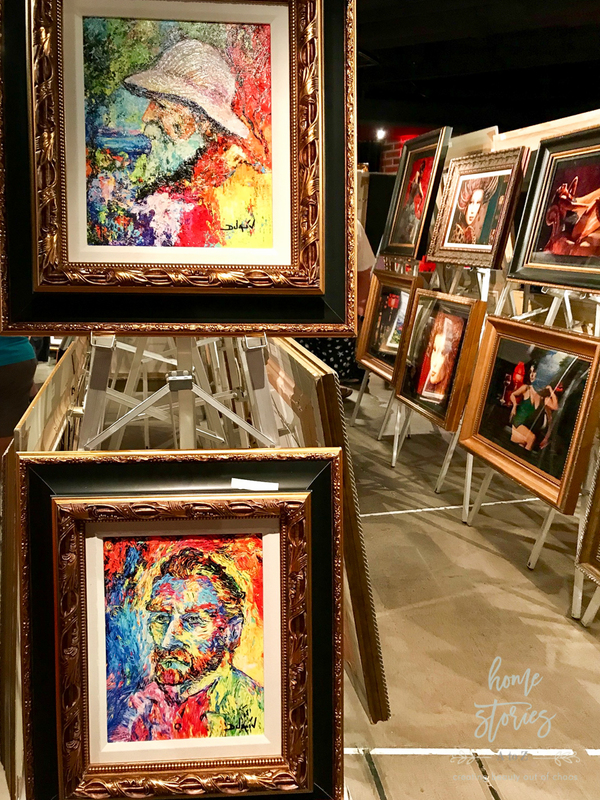 I’ll be sharing what you can expect at an art auction and my overall experience and impressions of Park West Gallery. I am admittedly a novice to the world of fine art, but I’m a specialist when it comes to creating beautiful rooms filled with things I love! My blog is aptly named “Home Stories A to Z” because I am passionate about creating a home where every object, space, and room tells a story. Just like you, I believe our homes should be a reflection of who we are and what we care about. A home feels like a home when you can walk into a room and see someone’s individuality and personality reflected in the design of that space. The art we choose to place on our walls and the sculptures we display on our shelves play a large part of telling our unique home story. Art is a timeless and universal language. It will be cherished by yourself, your children, and generations to come. It cannot be used up and can be enjoyed for a lifetime. It evokes an individual emotional response—priceless. From college dorm posters and magazine tear outs to unique one-of-a-kind works of art, as we mature so do our tastes! When you’re at an auction, bid on beautiful pieces of art that evoke feeling and connection. Who exactly is Park West Gallery? Perhaps like me, you hadn’t heard of Park West Gallery until recently. However, chances are good that if you’ve been on a cruise then you’ve seen them around! Headquartered in Southfield, Michigan, Park West Gallery is the largest privately-owned art gallery in the world. They currently can be found on six cruise lines—Carnival, Celebrity, Princess, Norwegian Cruise Lines, Royal Caribbean, and MSC. They know their way around the business of selling fine art and have been doing so since 1969. They began working with cruise lines in 1991. 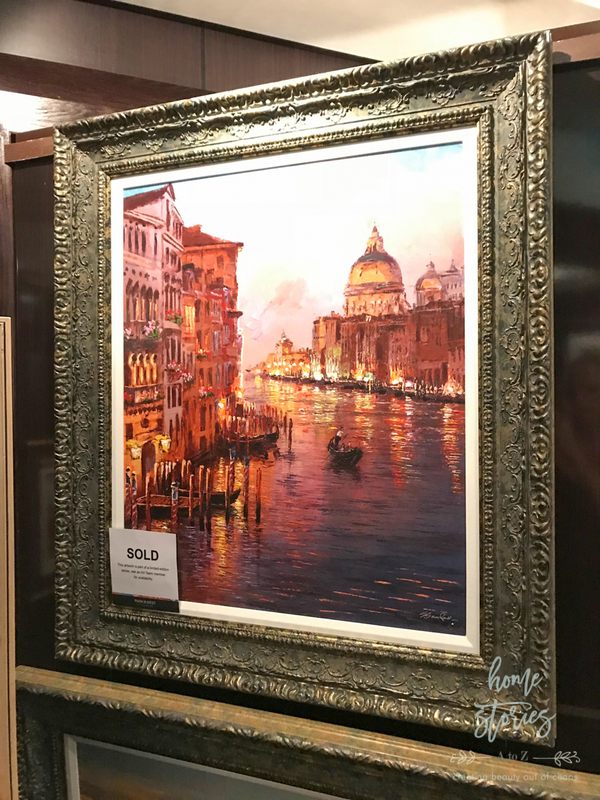 Since their inception, Park West Gallery has brought the experience of collecting fine art to more than 2 million customers and counting. What can I expect at a Park West Gallery art auction? For starters, at a Park West Gallery auction you can expect free champagne, a raffle for prizes, and a fun and informative time! Having no prior experience with art auctions myself, I imagined the auction might feel uptight, pretentious, and stuffy. I was pleasantly surprised to find the auction atmosphere to be relaxed, approachable, and exciting. Times and places for auctions were well advertised across the ship both in the hallway art gallery (which changed daily) as well as in fliers delivered to our room. 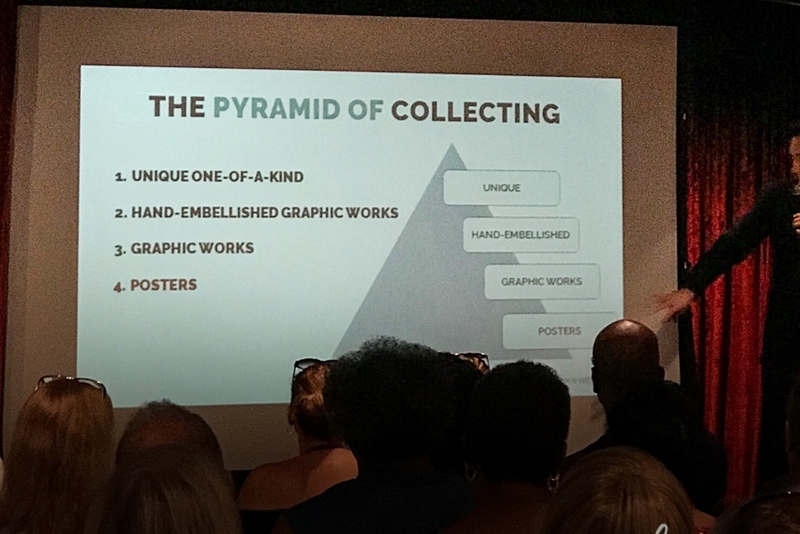 There was typically a preview time where you could register and receive your bid number and raffle entry followed by an art lecture and auction. Your bid card has a lot of valuable information on it regarding policies and procedures so take this time to read it over so you’re fully informed before you bid! After listening to a lecture outlining some of the procedures of the auction and highlighting some of the artists, it was time to walk around the room and tag the items we loved with our bid numbers. 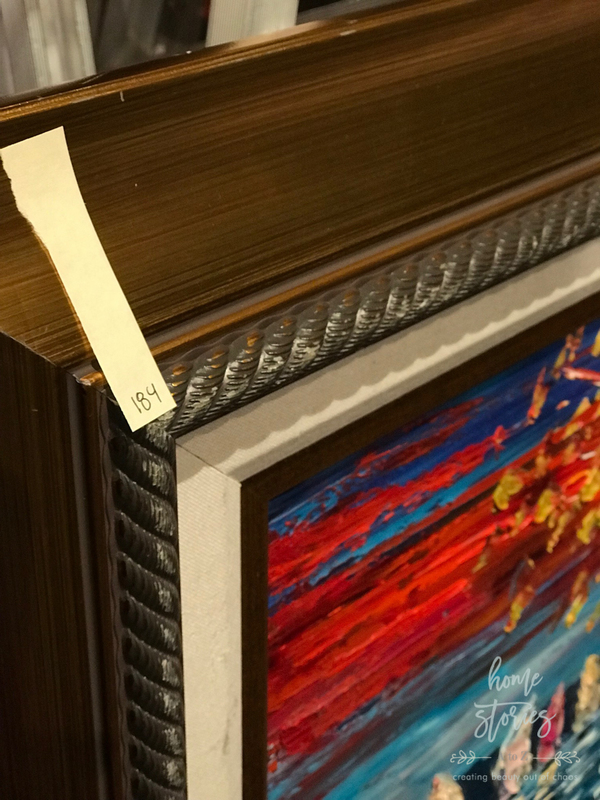 Tagging items with a sticky note containing your bid number is just a way to let staff know which items you are interested in seeing auctioned that day. It is not a formal agreement to purchase the work, so feel free to tag the items you like. Once the auction begins, things move very fast so get ready to bid! 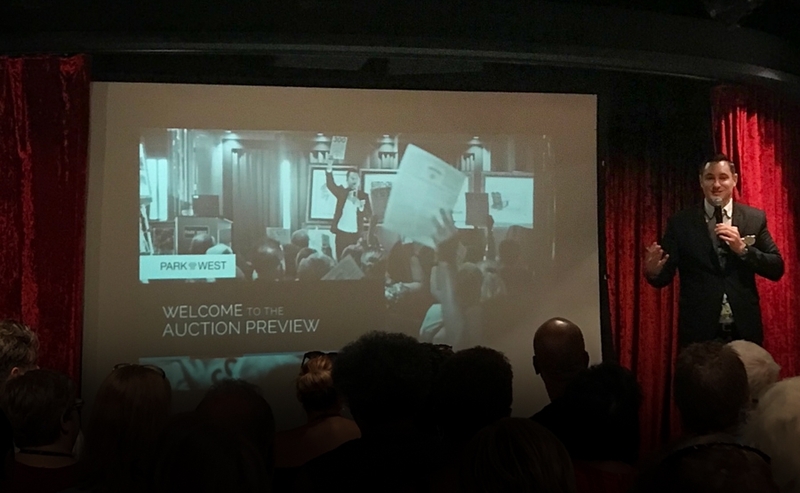 The auctioneer starts by telling a bit about the art and the artist behind the work before opening up the room for bids. Additional Park West staff work the room and stand next to you when they see you bid, making it very clear on where the bid stands. 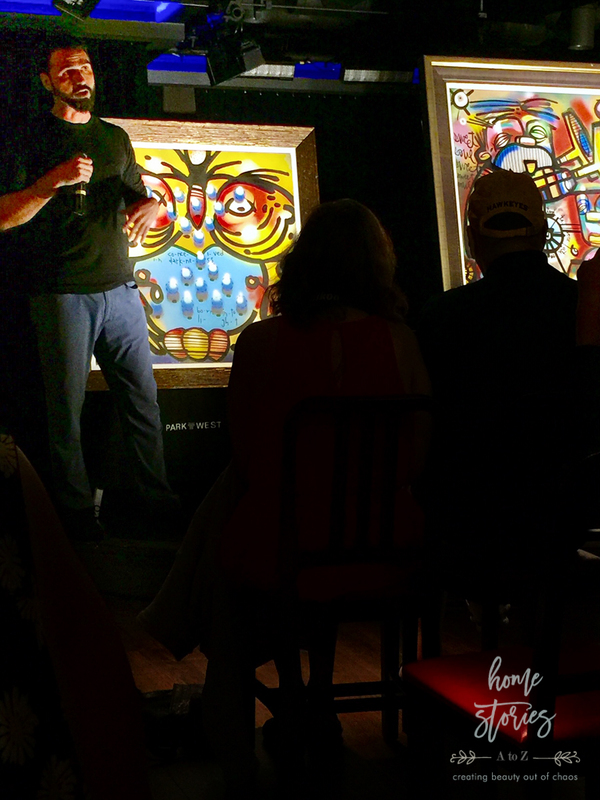 In describing the gorgeous art below, the auctioneer said, “How do you paint light? By casting a small shadow.” What a beautiful description and metaphor. This artwork sold immediately! What type of art is available at a Park West Gallery auction? Between the public and VIP auctions, I saw a wide variety of artwork up for bid catering to different tastes and budgets. 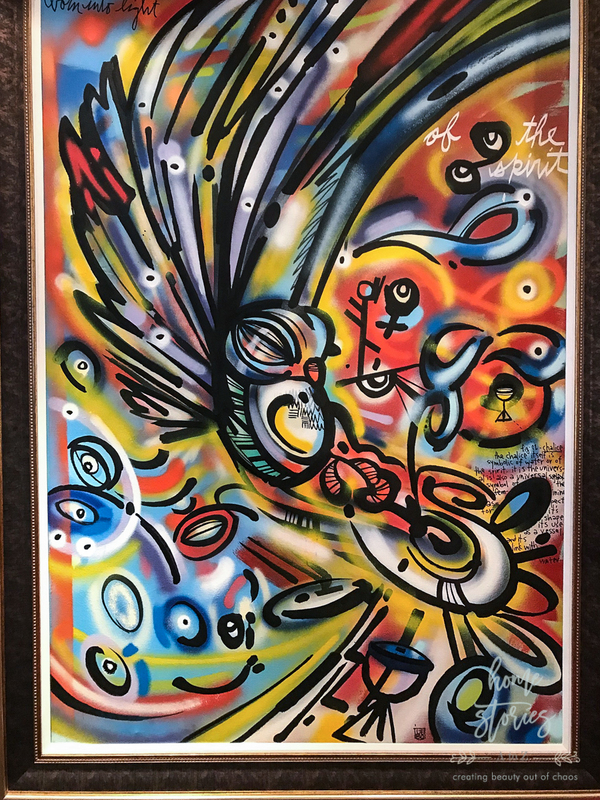 Many of the pieces available are limited edition prints by well known artists such as Chagall, Renoir, Rembrandt, Picasso, and Dali, but they also offer hand embellished giclée on canvas, serigraphs, lithographs, etchings, woodcuts, and original artwork. I even saw a pair of framed Muhammad Ali shorts sell at auction! Part of a Dali Inferno, Purgatory, and Paradise collection available at a Park West Gallery VIP preview event. 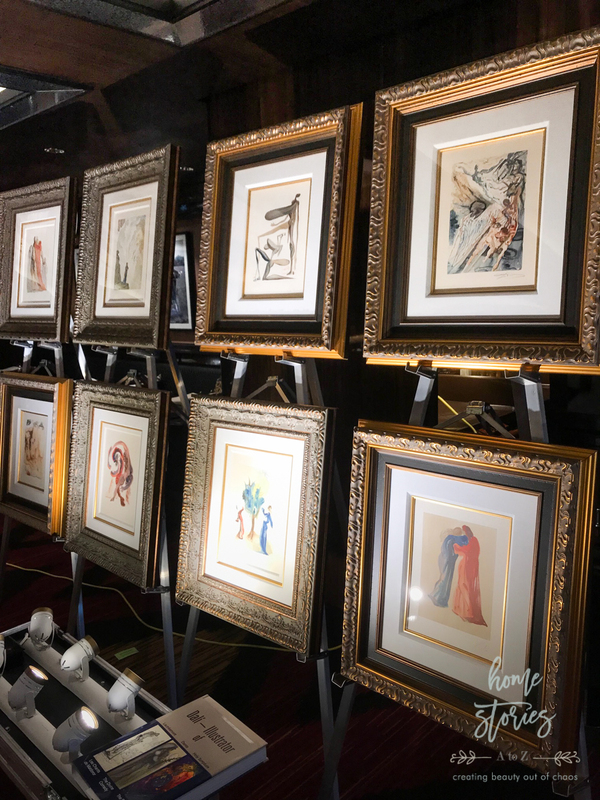 The most impressive items up for auction this week included an original piece by Albrecht Dürer from 1503, an original sketch by Picasso, and a collection by Dali. What is the Park West Gallery VIP program? 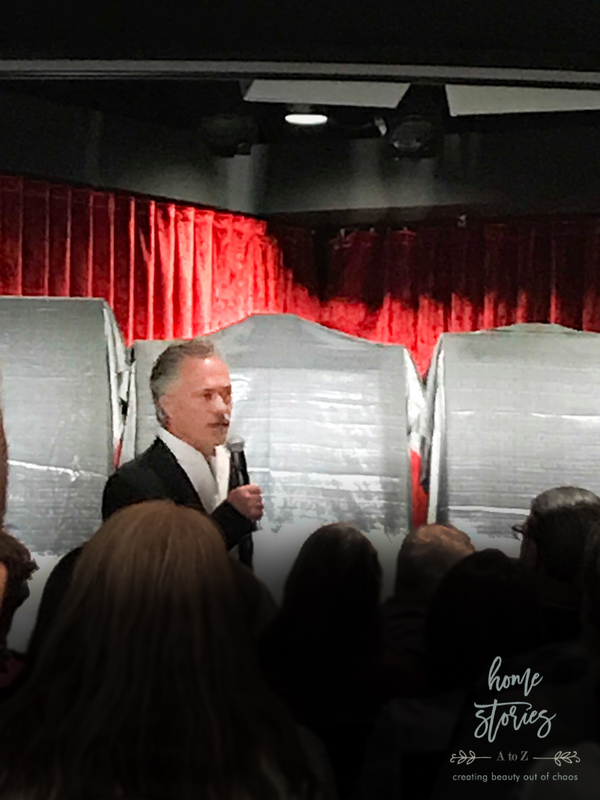 I had the privilege of sitting in on several of the VIP events reserved exclusively for Park West Gallery’s private collectors. These events are invitation-only and are held on cruise ships and luxury hotels across the globe. These events allow customers the chance to travel (almost all-expenses paid) and meet one-on-one with some of today’s most famed contemporary artists. After sitting in on several VIP lectures and auctions it quickly became apparent as to why they are so well-loved and attended! The lectures are fascinating, the Park West staff approachable and caring, and the fellow collectors friendly and down to earth. Speaking of the VIP collector’s, they were not at all what I expected! Sure you had your corporate CEO’s and wealthy business people in the mix, but there were also retired teachers, truck drivers, and factory workers in attendance. The beauty and diversity of the people present at the VIP events rivalled the art! 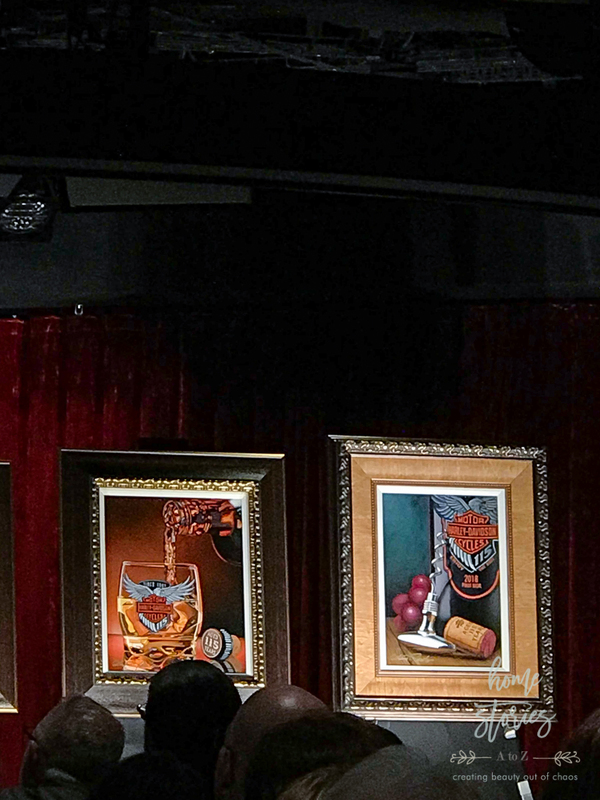 Scott Jacobs, official artist for Harley Davidson, speaking about his art at a Park West Gallery VIP event. On a snorkeling excursion, I recognized a few of the VIP Park West Gallery guests and we began chatting. I asked why they chose to purchase their art through Park West. They said for the education, experience, and above all relationships—and I completely understood what they meant. The similar unexplainable comradery I’ve felt with strangers when watching an anticipated opening night blockbuster movie, or the shared excitement felt when attending a popular concert together is the same comradery I felt at auction. Moreover, the VIP’s spend the week together at dinners and cocktail parties and bond over their shared appreciation for fine art. They develop lasting friendships and become part of the Park West family. What was your favorite part of the Park West Gallery experience? I buy a lot of decor for our home, but I typically just purchase them online or in store. There is no great memory or fun experience that takes place through the transaction. 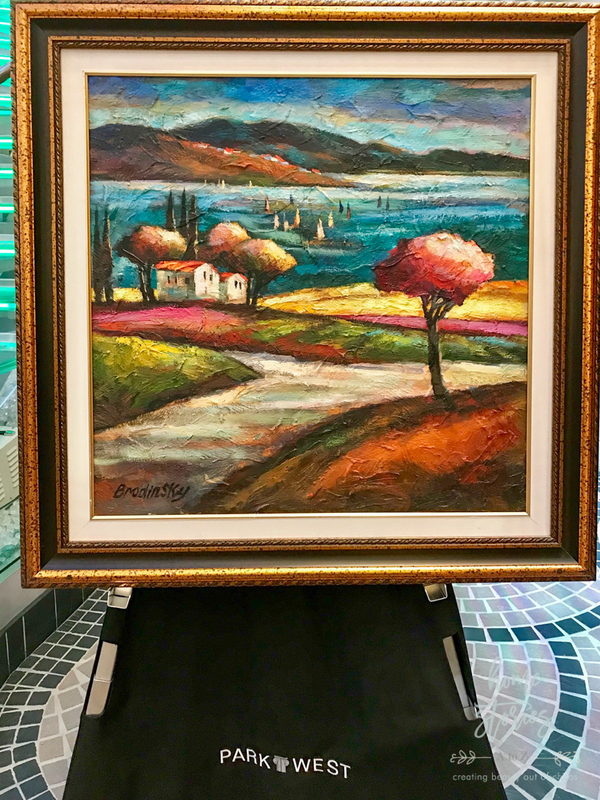 When you buy a piece of art at a Park West Gallery auction, you are participating in an experience and creating a memory! The art becomes more meaningful because it’s now also attached to the memories of your vacation. It’s the perfect souvenir. Hands down my favorite part of attending the Park West Gallery VIP events was listening to the artists speak about their art. The immersive and intimate experience of getting to know the artists was a rare treat! 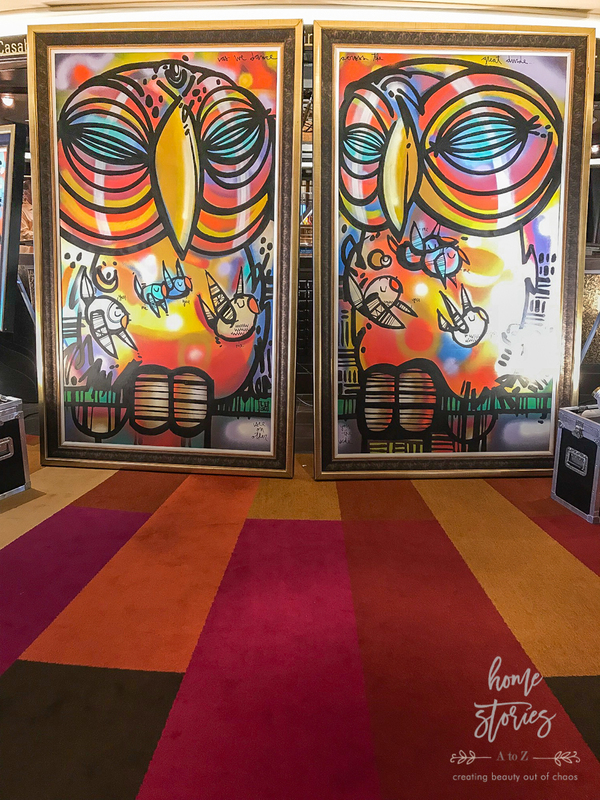 One of the artists who presented at both the VIP and public auctions was Miami-based mural artist, David Le Batard, better known by his nickname Lebo. 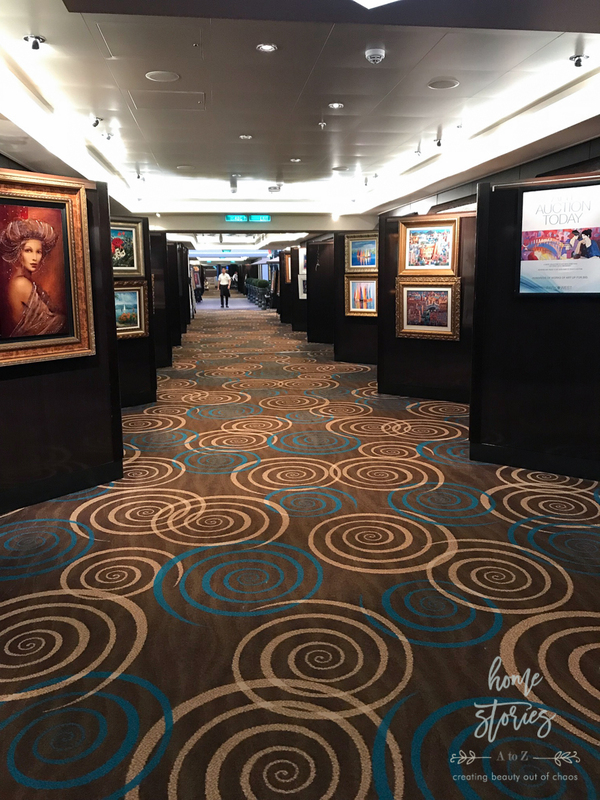 As an exclusive Park West artist, he designed the mermaid artwork on our ship’s haul and had several of his pieces prominently displayed throughout common areas of the ship. Dave’s rags to riches story resonated with the crowd and his humble and kind personality won over those who initially weren’t interested in his postmodern cartoon style! “Success is not final, failure is not fatal: it is the courage to continue that counts.” Lebo quoting Winston Churchill at a VIP lecture as he describes his attitude towards creating art. Many of his Lebo’s creations sold at both the VIP and public auctions, and he quickly became a collector’s fan favorite! 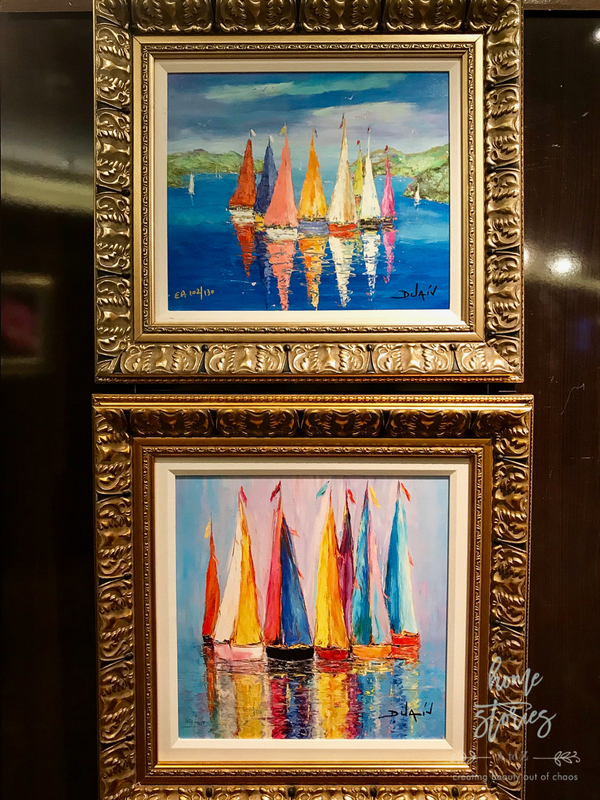 If you’re on board a cruise and see a flier to attend an art auction, go ahead and check it out! 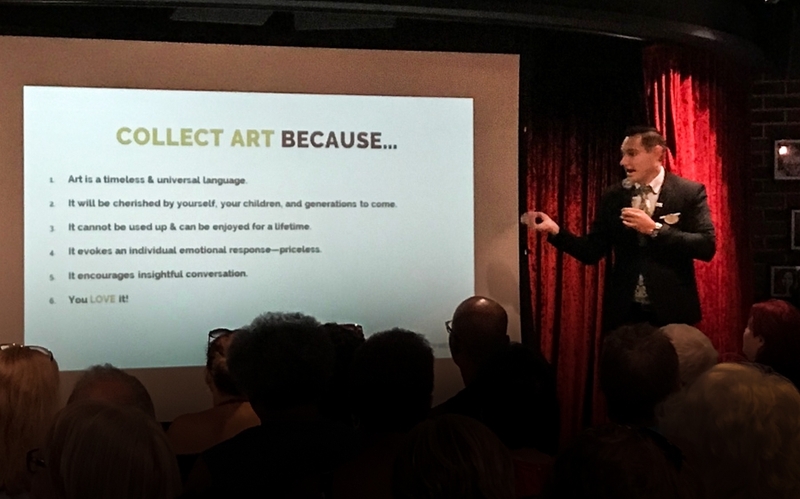 Regardless of whether or not you choose to bid on an item, the lecture, artwork, and experience is fun and entertaining. You can click here to preview all of the many artists Park West Gallery offers. Take note of your favorites and go to your next auction prepared to bid on those you love! The cruise was so fun and the art experience was simply amazing! Meeting and hearing from the artists, seeing original works from the masters themselves had my heart racing. Thank you sweet sister for taking me along! Wow! This sounds SO awesome Beth! I haver never heard of this and your post is SO interesting! I would be in heaven drooling over these incredible artists, buying art and the ocean! I can see why they set up these cruises! Thanks for sharing! Thanks so much Cyndy! It was seriously one of the most fascinating experiences I’ve had in a decade of blogging. It was so fun and informative and nothing like I’d thought it would be. Thanks for taking the time to read and comment! I definitely recommend checking out the auctions on your next cruise.